In the following report, News Five Duane Moody zeros in on specific cases of persons provided with passports without the requirements. It is a sorry state of affairs that stinks to high heaven of a hustle so rampant that sloppiness settled in at the department. 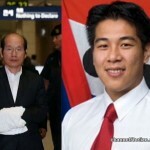 The case of the imprisoned Won Hong Kim has been widely exposed. But the audit reveals new details; the deputy mayor at the time, Eric Chang, attempted to visit the South Korean while in jail in Taiwan. The Head of Mission at the time was told by the Taiwanese to dissuade him from so doing. But a number of other persons also obtained passports without being qualified. Passports were issued to Nina Sha and Zhaoyi Sha; both never even signed the application forms, which were riddled with inaccuracies. Both obtained passports on the same date they applied for it. The number of Nina Sha’s passport actually also coincided with a passport issued to Geselle Shanelle Herrera. Zhaoyi Sha only paid thirty dollars for her passport. Attached to their applications were copies of fraudulent replacement nationality certificates. The mother and daughter team were provided with Social Security numbers signed by one E. Wright, who, it turned out, was never even employed at the Social Security. But there is more on this case, because the audit found that Nina Sha had visited the Belize Consulate in Singapore where she confirmed that she was never in Belize or any passport office to capture biometrics. As for the social security number, that was in fact also issued to one Jin Quan Chen. Passport P0225450 was issued to Lai Kai Wen, a Chinese national by birth. Her application was written in felt-tip; it was fading and incomplete, neither was it signed. The recommender, Justice of the Peace, Wilson Lee of Belize City, also signed off in a number of other applications. That passport was the renewal of a previous issued at the Hong Kong Office and came from a batch of missing passports. In the fire sale of the passports, Wen also did not pay the required fee. In fact, an undated receipt was made out to Wen Lai Kai. So brazen was the scam that Wen’s photo appeared as a picture of a picture with no fingerprints. 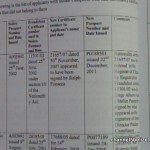 Then there is Juan Ke Tan who was issued a passport based on an incomplete application. Wilson Lee is also the justice of the peace who recommended. There were no security features in the passport copy, nor were there signature of bearer or fingerprints captured. 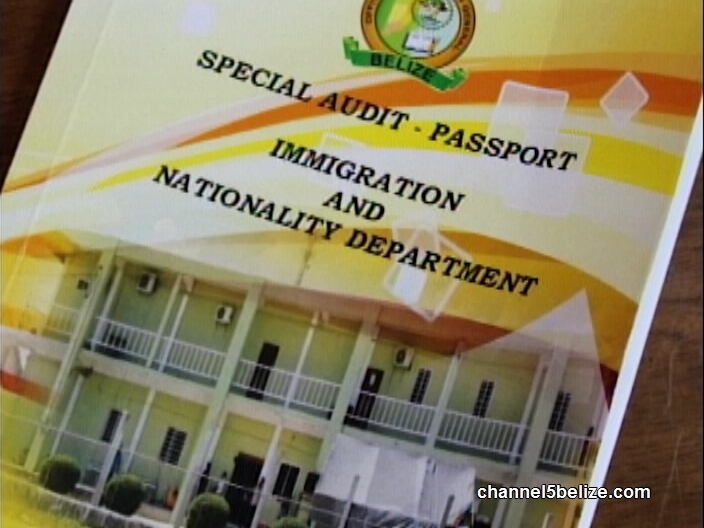 There were applicants who also received passports with fraudulent Belizean birth certificates. Rafiq Labboun, for example, received a passport in the name of Wilhelm Dyck, a deceased man. Labboun was reportedly affiliated to Hezbollah organization. And even though that particular case was well ventilated, the audit says they found no efforts to revoke or retrieve the fraudulent passport. There is so much more on the passports but we will confine it to this tonight. Throughout the audit, the names of four immigration officers are constant, as persons who processed the irregular applications. 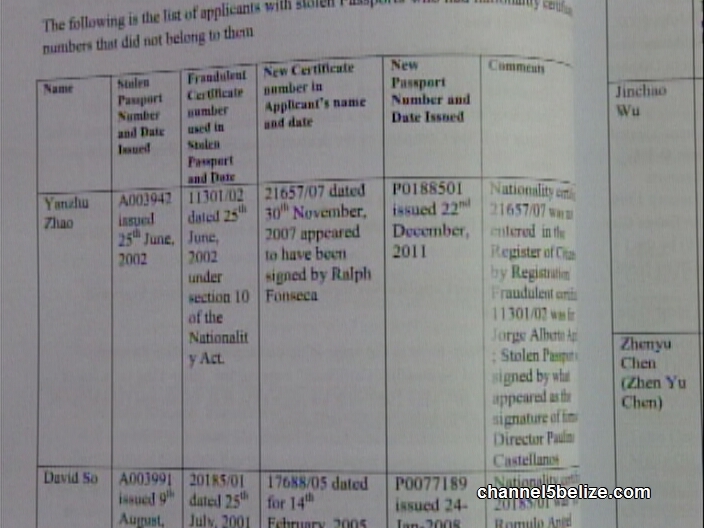 The applicants never lived or visited Belize, but they provided local addresses. The audit was met with numerous hurdles so much so that the Auditor general had to complain in writing. This is just a short list of the many irregularities found by the Audit Department. As the countdown begins to Friday’s House presentation, we will bring you much more from the report and the swamp of corruption infesting the Immigration and Nationality Department. Belize is reading your report, please and kindly continue the good work, we need you, please do continue. So the Mennonite minister was pushed out because of passport scandals but the “irregularities” and downright fraud continue. Da fool di talk an’ lone fool di lissen! WILSON LEE? ARCHIE “CORRUPT” LEE BROTHER? WHY DONT THEY REVOKE HIS JP AND CHARGE HIM TOO? FROM TIME HE IS IN OUR COURT SYSTEM ACCUSED OF FRAUD AND SCANDALS. THEY CANT MAKE A DECENT DOLLAR OUT OF 50 CENTS LIKE THE OLD TIME CHINEY THEM?